Here at Range Cooker Repairs we specialise in Range Cookers & Range Hood Repairs. 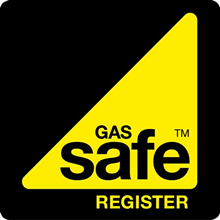 We also carry out repairs to all makes and models, gas, electric, lpg, built in, freestanding. Your cooker does not have to be a range in order for us to come out. RANGEmaster Cookers, Falcon Cookers, Britannia Cookers, Lacanche Cookers, Mercury Cookers, Ilve Cookers, Steel Cuisine Cookers, Bertazzoni Cookers and Rangecooker Cookers. All our engineers are fully trained, we can suppply & fit all parts including, Fan Elements, Grill Elements, Thermocouples, FSD (Flame Supervision Device), Fan Motors, Thermostats, Hinges, Roller Carriers, Door Seals, Door Catches, Terminal Blocks, Base Elements. All Parts Come With 12 Months Guarantee & We Only Use Genuine Parts. Engineers Fully Trained. We have a 98% 1st call completion rate as our engineers carry most working parts as vanstock. Range Cooker Repairs (Appliance Installations Ltd) 2019 © All Rights Reserved.